Watching these young ladies play twice per week since November has kept us very very busy. I have had soooooo much fun going to every game and cheering on this team. These gals have come soooo far. They won district this year! Pumpkin has greatly enjoyed playing for Coach Softley and can’t wait for her little babe to arrive soon. The regular season is over and Pumpkin, along with a few other Junior Varsity teammates, has moved up to varsity for the playoffs. Exciting times!!! 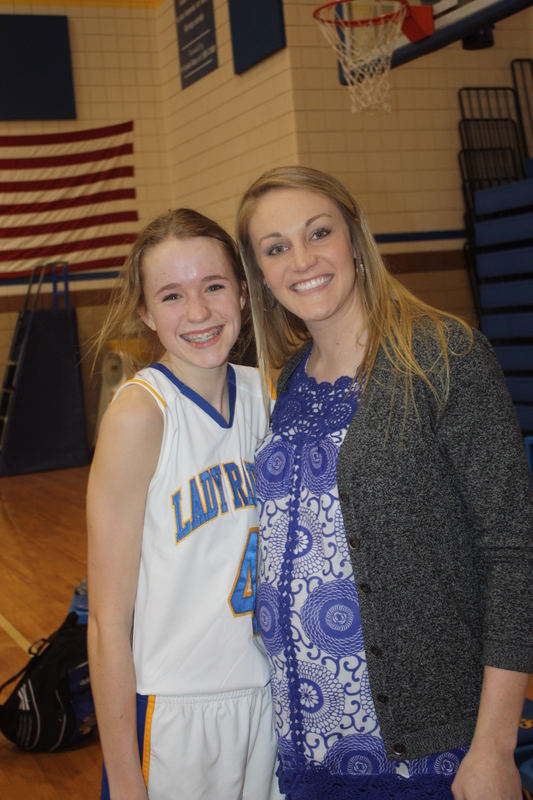 Although she is hardly playing, she is experiencing great role models from the upperclassmen on the team and being coached by an INCREDIBLE coach, Jill McDill. 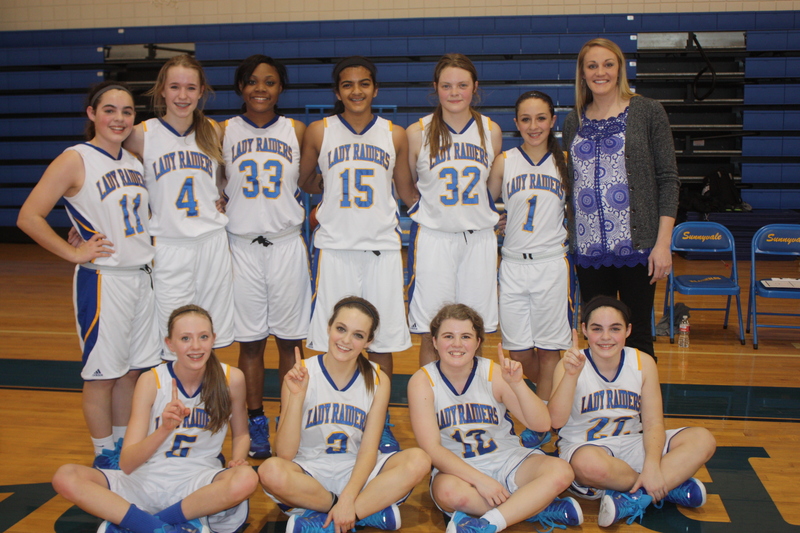 Our Lady Raiders are waiting to play in the Regional tournament this weekend. The first game was scheduled for tonight but the Texas winter decided to arrive in full force today. We are all hopeful that our Lady Raiders will bring home a State Championship next weekend. I am very thankful that we are a part of our community. This year we have entered the community of high school sports and I have LOVED it! Watching our children play sports is one of my FAVORITE things!!! I love to see them do their thing. It is also great fun to see them improve and learn how to be a part of a team. This entry was written by texasknights and posted on February 27, 2015 at 5:51 pm and filed under Family Times, Pumpkin. Bookmark the permalink. Follow any comments here with the RSS feed for this post. Post a comment or leave a trackback: Trackback URL.